The new year brings new beginnings for all of us. By setting our resolutions we can commit to new plans, new ideas, and new goals for ourselves and for our loved ones. Unfortunately, amidst the excitement that surrounds the new year, it can also bring new challenges. It is often during the holidays, when we are visiting our elder relatives, that we discover they may not be able to care for themselves as easily as they could in previous years. There may have been a decline in either capacity or their activities of daily living such as preparing food or caring for themselves. Learning of the challenges your loved one is facing is never easy, nor is it easy for you to find long-term care solutions that can meet their needs in their local community. Many of our seniors clients and their adult children have questions when it comes to long-term care. Not only do they have questions on the care itself, but how they will be able to afford it should need the arise. With research for this year showing projections that cost of long-term care will continue to rise, let us share four key questions and answers to long-term care planning we share with our clients and their loved ones. Did you know that there are different types of long-term care? Many of our clients and their loved ones initially believe that all long-term care is the same. They have heard horror stories of nursing homes and believe that, at the end of the day, there is only one solution available. This is absolutely not the case! There are many types of long-term care available today which can be found inside and outside the home. We work with our clients to understand the types of long-term care available and help them identify the best choice for them. Can your parents afford long-term care right now? Many adult children are concerned that their parents will be unable to pay for long-term care. This is a very realistic concern. Unfortunately, many seniors believe that Medicare will pay for the entire cost of long-term care. This is not true. Medicare is an acute payor system and while it will help initially with a portion of care in a hospital or a skilled nursing home, it is not a long-term solution. Programs, such as VA Pension and Florida Medicaid, can help a senior afford the high monthly cost of long-term care but he or she must be able to qualify for it. Do adult children have to pay for their parents’ long-term care? Adult children at this time do not have a financial responsibility to pay for an aging parent’s cost of care. There has been a trend in recent years, however, to establish a filial responsibility that would result in adult children being potentially liable for all or part of the bill. Do not wait to learn what you and your parents’ need to plan for in regard to care in the future and how to pay for it. 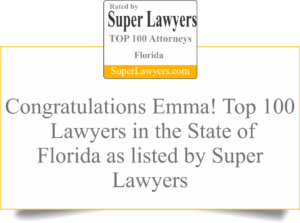 By speaking to your Florida elder law attorney now you can develop a plan that will protect you both no matter what the future may hold. What should I do as an adult child? As your parents age the likelihood that they will turn to you for help significantly increases. The key is for you to be as educated as possible on the long-term care solutions available. You can use this AARP Long-Term Care Calculator we found for you to start to determine the cost of long-term care options where your parents live. Further, as an adult child, do not wait to schedule a meeting with a Florida elder law attorney to discuss the options available for your parents. We know this article may raise more questions than it answers. Do not wait to learn more about your long-term care options in Florida and talk to us about what your concerns for your parents are. We are here for you and your loved ones as your local community law firm.